Ofsted, the official body for inspecting schools, published a report on music education hubs on Friday 15 November. In the report, which has received widespread attention, Ofsted questions whether hubs have been successful enough in improving music education for all children in schools. You can download a copy of the report here and also see a range of responses and summaries here. 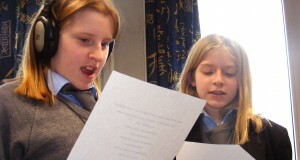 “As an interested outsider to the challenging world of music services, I read the Ofsted “Music in schools: What Hubs must do” report to try and understand how young people are being affected by the introduction of Music Hubs. There are many heartening things to take from the report and the following are some of my thoughts, written as a member of Wired4Music, the music council for young Londoners hosted by Sound Connections (and as someone whose school days are not too far behind me). On the basis of the text in the report, Her Majesty’s inspectors seem to have conducted their investigations without consulting young people to get their direct feedback on their experiences engaging with hub led programs. It seems counter-intuitive that the beneficiaries of the Music Hubs are not part of the conversation. This is similar to The National Plan for Music Education, which laid out the foundation for the creation of Music Hubs to improve music education. Few would suggest that it is an easy task for Hubs to strike up a healthy working relationship with schools. School leaders are not obligated to consult with Hubs and so the kind of trust necessary for Hubs to do their best work will take time to build. A powerful way to get the senior leaders at schools to take notice of Hubs would be if students spoke up to advocate the work that Hubs were doing. Ofsted makes an excellent point that Hubs must try to foster an environment where schools view them as music services experts in the community. I do not believe this point is intended to ignore the vital role that organisations such as Sound Connections (who work with 29 Hubs!) play in the music education landscape. The report recognises that the most successful Hubs are the ones at the centre of a network of different schools and musical practitioners. Despite this perhaps more focus could be given to this point. I feel that the eternal problem that instrumental teaching, orchestras and ensembles, choirs, festivals and holiday music courses are enjoyed by a minority of students is not given the appropriate weight in the report. Widening participation in music should be a key deliverable . Wired4Music is the music council for young Londoners, hosted by Sound Connections. Find out how young people can have their say here.